The dancehall escaped from a car accident last night with only minor injuries. Sources confirmed with Urban Islandz that his Mercedes-Benz GLE63 SUV was totaled in the crash that took place along Mannings Hill Road, St. Andrew. The full details surrounding the accident is not yet known, but we obtained below video which shows the aftermath. 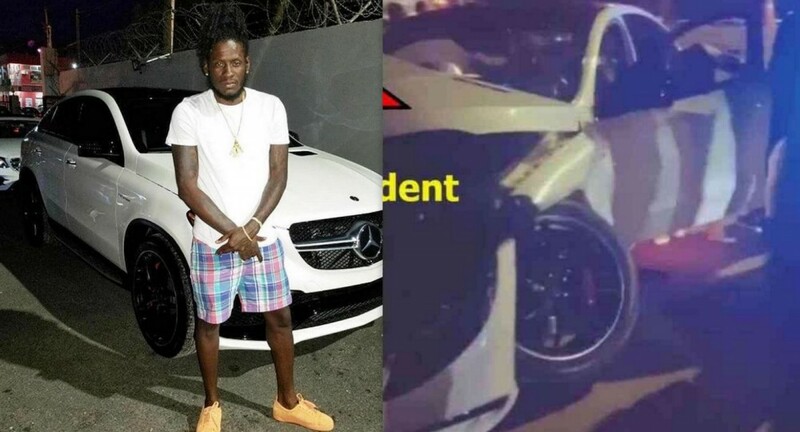 You can hear a female in the background saying that Aidonia is lucky to be alive and judging from the damage his vehicle, her assessment is correct. We’re told that Aidonia sought medical attention for minor scratches and was a bit shaken up as a result the crash. The 4th Genna deejay is getting a lot support from his fans in the wake his car accident. “Get well soon Diddy am praying for a speedy recovery, and we’re all happy that you’re doing okay this could’ve been so much worst thank you Jah,” one fan wrote. 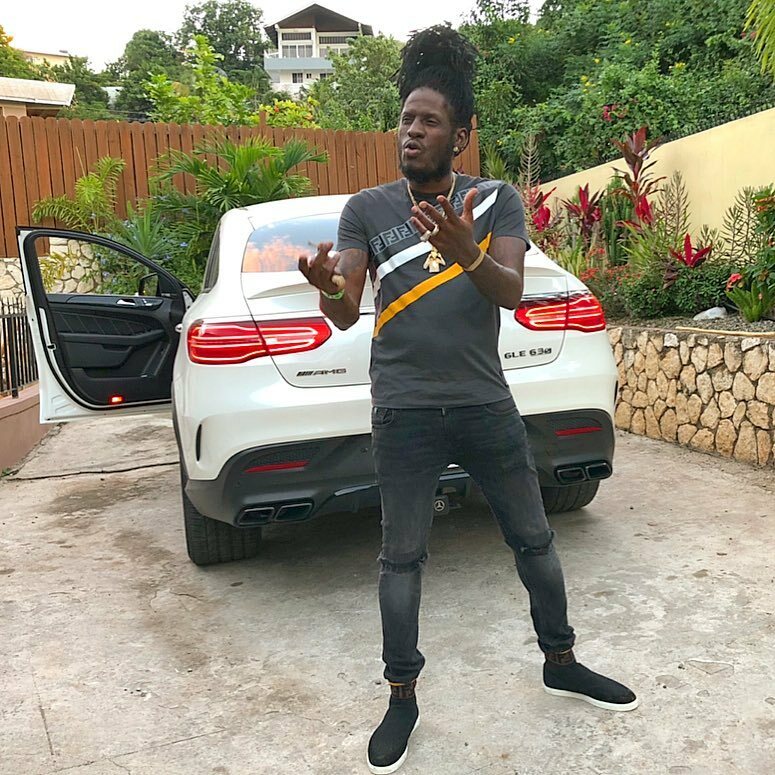 Aidonia purchased his Mercedes-Benz AMG GLE 63 S coupe SUV approximately a year ago. At the time he said that he was the first person in Jamaica to have one the sporty SUVs.